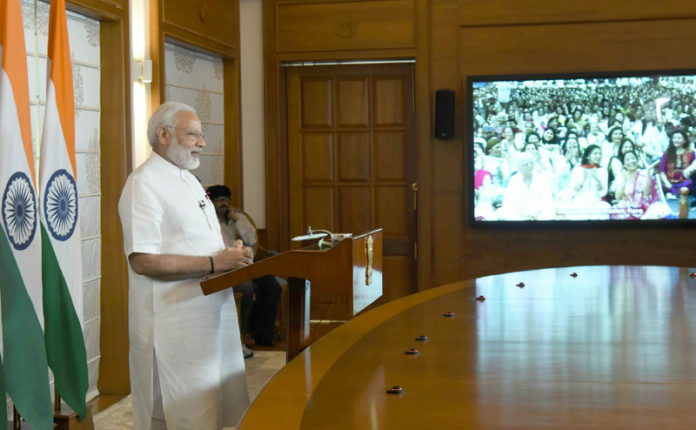 The Prime Minister, Shri Narendra Modi addressing the 99th birthday celebrations of Dada Vaswani, via video conference, in New Delhi on August 02, 2017. New Delhi: Prime Minister Shri Narendra Modi will confer the National Youth Parliament Festival 2019 awards to the winners on 27th February, 2019 at Vigyan Bhawan. Minister of State (I/C) for Youth Affairs and Sports Col Rajyavardhan Rathore (Retd) had launched the National Youth Parliament Festival 2019 on 12th January, 2019, the National Youth Day in order to encourage the youth in the age group of 18-25 years to engage with public issues and understand the common man’s point of view. Prime Minister in his Mann Ki Baat address on 31st December 2017, had shared his idea of organizing Youth Parliaments for young people in every district of the country. It is to provide a chance to the youth to brainstorm about new India and to find ways and chalk out plans to realize our resolves before 2022. He reiterated his idea to capture the voice of the youth in his address to the youth during the 22nd National Youth Festival on 12th January 2018. National Youth Parliament Festival 2019 has been jointly organised by National Service Scheme (NSS) and Nehru Yuva Kendra Sangathan (NYKS) under the aegis of Ministry of Youth Affairs & Sports, on the theme of “Be the Voice of New India” and “Find solutions and contribute to policy”. Youth in the age bracket of 18-25 years were invited to participate in the District, State and National level Youth Parliaments. 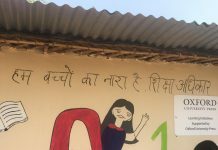 The National Youth Parliament Festival 2019 has already been conducted at the District and State levels. The participants for District Youth Parliament, (DYP) were selected through two screening processes i.e. Digital and Walk-in screenings in Nodal Institution in 471 designated districts across the country from 24th to 28th January. The best three speakers selected by a Jury from each District Youth Parliament have participated at the State Youth Parliament (SYP). Similarly, the two best speakers selected from each SYP will participate as speakers in the National Youth Parliament (NYP) on 26th February, 2019. As many as 28 State Youth Parliaments were held across the country from 5th to 7th February to select 56 final contestants for NYP. Col Rajyavardhan Rathore will inaugurate the National Level Finals of National Youth Parliament Festival on 26th February, 2019 at Dr. Ambedkar International Centre. The best three speakers at the National Youth Parliament will be awarded Rs. 2 Lakhs, Rs. 1.50 Lakhs and Rs. 1 Lakh respectively in order of merit along with a certificate by the Prime Minister. More than 50 thousand youth have participated through Youth Parliaments at all levels and the narrative will be strengthened and made more vibrant by their voices and ideas and suggestions. The National Youth Parliament Festival also encourages the youth to engage with public issues, understand the common man’s point of view, form their opinion and express these in an articulate manner. It captures relevant and effective voices on the vision of New India and these are made available to policy makers and implementers to take them forward.